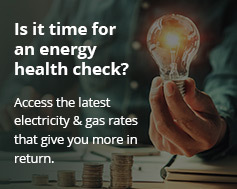 Energy Matters is an award-winning solar power system installations company, a member of Australia’s leading solar trade associations and renewable energy advocacy organisations. Following are some of the awards that we have been recognized with. category. Deloitte Technology Fast 50 program ranks 50 of Australia’s most rapidly growing public or private technology companies. Recipient of the 2011 Australian Business Award for E-Business. This award is for recognising innovative and/or strategic applications of electronic commerce, information and communications technologies in support of business processes and operations. Recipient of the 2011 Australian Business Award for Recommended Employer. This award is for recognising organisations that provide a stimulating and supportive workplace. Winner of the REC Partner Award for innovative work in communicating the benefits of REC solar power products. Awarded REC Platinum Partner status. We are the only company in the entire Asia Pacific region to achieve this standing. Finalist in the People’s Choice category of the 2011 Telstra Business Awards. Out of a field of 200 businesses Australia wide, Energy Matters placed as one of the top five finalists in Victoria. Winner of the prestigious 2010 Melbourne Awards category of Contribution To Environment (Corporate Division). Finalist in the 2010 Citipower Port Phillip Business Excellence Awards for environmental sustainability. The Awards recognises the achievements of local business and their contribution to the Port Phillip community. The Clean Energy Council (CEC) is the peak body representing Australia’s clean energy sector. CEC advocates policy development on behalf of its members at the federal and state government level.